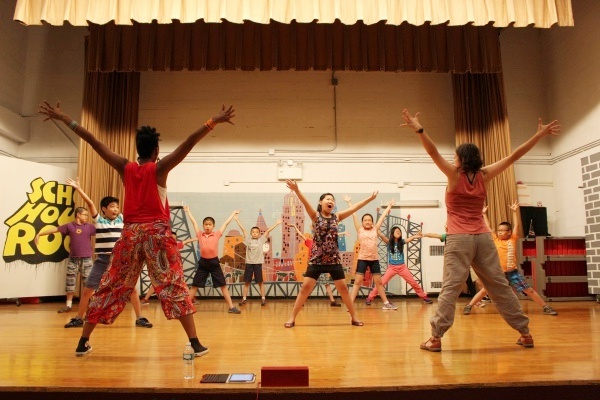 During Summer 2015, CPC’s Pike Street COMPASS @ PS2 was invited to participate in the New Victory Theater dance workshop. The workshop featured a performance by the New Victory Theater troupe and was followed by a movement workshop. The students had a great time learning how to integrate the basic movements taught by the New Victory Theater troupe into their own interpretive dance. The students were excited to see that the New Victory Theater Dance was about to start. The show started with the Jessica Lang dance, which is a ballet. The first part of the Jessica Lang dance was “The Calling,” which was set up with a person on stage wearing a long white dress that almost covered the whole stage! She danced using body twisters. Next was “White,” which was a partner dance. They ended with “Ink,” in which they imitate water movements. It was great to see the Jessica Lang dancers use ballet in different ways! After the Jessica Lang dance, people from the theater came out and taught the students different body twisters such as drawing a circle with one finger while drawing a square with the other finger and also rubbing your tummy and pat­ting your head. They moved forward to the Max Pollak Rumba tap, a tap dance. The beat was fast and they added some traditional songs like the Cuban hunt song “Yohan.” The students participate by using call and response. Their dance also had Cuban influences. They made music using the things around them and, they also used their own bodies to make mu­sic. 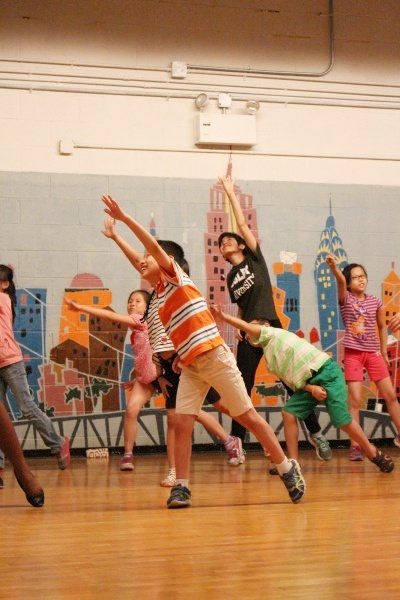 After the show, the people from the theater taught the students a beat using their own bodies just like the dancers. They ended the show with the “Parson’s dance” in which they danced with humor. They started with “The En­velope.” They threw an envelope around and tried to get rid of it, but they couldn’t. The dancers created a very funny show with the envelope and the crowd laughed with the dancers as they performed. It was obvious that they enjoyed it. They transitioned into “Hand Dance,” in which their hands glow while they moved them in a very energetic way. The audience couldn’t see their bodies, only their hands. The way they moved their hands was very cool. They ended it with “Caught.” They made the room dark and they flashed the lights, catching the dancer’s movements while they were in midair. It made it look like the dancer was flying. After the show the students performed the beat that they learned after the Max Pollak dance in front of the dancers and choreographers. One person in the audience comment­ed on the Jessica Lang dance. “I like the dress that covers the ground,” they said.